Celebrate the new year! It's time for a fresh start, a chance to get a new outlook on things, and of course, an opportunity to party like it's 2019. Enjoy the holiday with family and friends, and welcome in the new year with a few great local events. There's always something fun to do in Lake George. Whether it's enjoying a meal and a few drinks at a restaurant or partying all night long, you'll find that Lake George is brimming with fun for the new year! 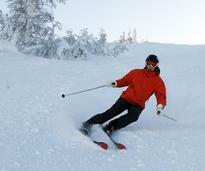 Searching for fun events on New Year's Eve & Day in Lake George? From fantastic cruises to parties throughout the community, take a look at everything going on. 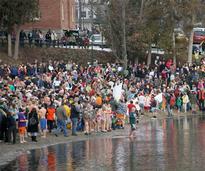 One long-standing Lake George New Year's tradition is the Polar Plunge! Jump into the chilly water on January 1 to officially celebrate the new year. 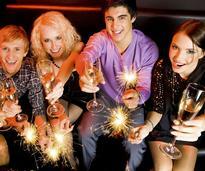 Wondering how you should celebrate New Year's Eve? Try hosting a party! 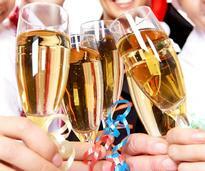 Here are 6 party planning tips to help you put together a fun-filled event. 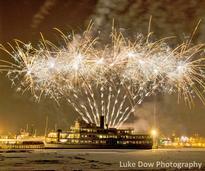 Please Note: The annual fireworks cruises on the lake have been canceled this year. However, you can look forward to other New Year's parties and festivities! 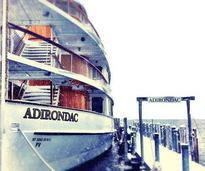 Winter is a fantastic time of year to visit Lake George! From local ski resorts to top events and outdoor activities, you can find everything in our Winter Guide.